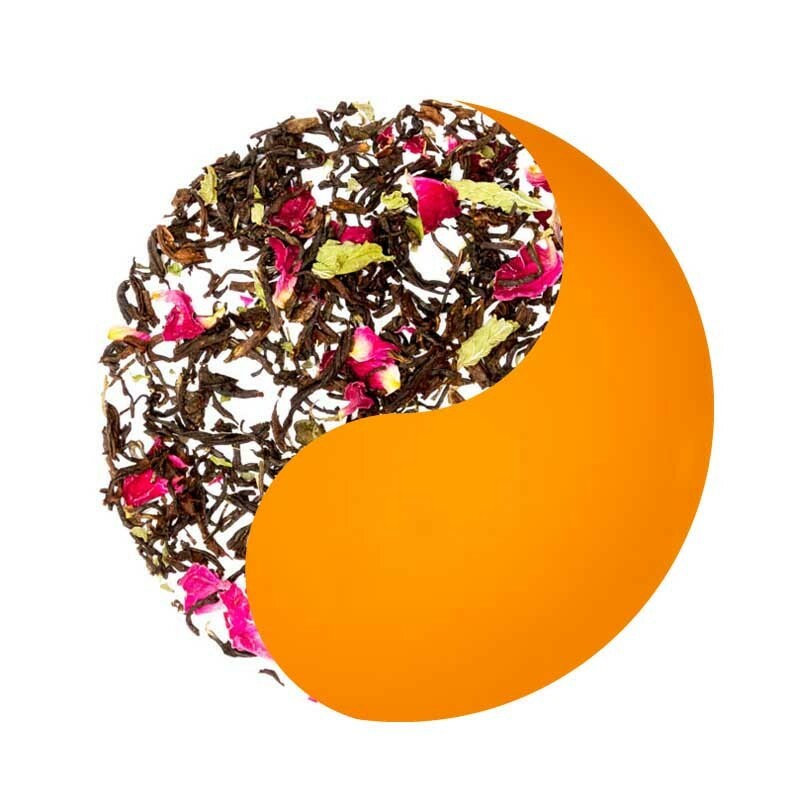 A soothing, multi-layered Darjeeling tea blend radiating with cool minty notes enlivened with the aromatic tingle of lemongrass and rose petals. A bright cup with a pleasant taste of mint and rose petals with a hint of citrusy sweet lingering aftertaste of the lemongrass. Look for the Darjeeling Tea CTM Logo on all platforms before purchasing Darjeeling Tea anywhere across the world. Help us protect the integrity of this coveted brew. This tea comes from the area where the finest teas in the world are grown-the district of Darjeeling in the Himalayan foothills. The high-altitude, rich soil and ideal weather contribute to the unique flavor and character of this rare coveted brew relished internationally. 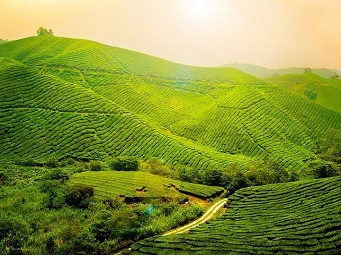 Grown exclusively in select 87 tea plantations, Darjeeling is popularly known as the 'Champagne of Teas' and is the first product from India to be granted protection under geographical indication (GI) in view of its uniqueness recognized worldwide. 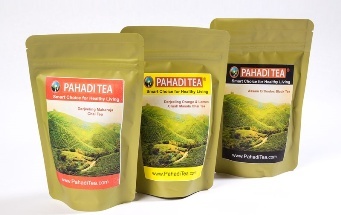 Certified by the Tea Board of India, Ministry of Commerce, Government of India. Our signature blend teas are handcrafted and expertly curated by our master blenders with teas from multiple plantations to prepare a consistent blend entailing all characteristics including aroma, flavor and strength. Use fresh tea. Look for fresh tea, because the oils that give teas their flavor break down over time. Opt for loose tea rather than tea bags, as tea leaves need room to expand to release their flavors. Look for brands that list the region where the tea comes from so you know exactly what you’re getting. Start with spring or filtered tap water. Mineral water contains too many minerals that can create off-flavors when they come in contact with compounds in the tea leaves, and mineral-free distilled water produces a flat-tasting brew. Turn up (or down) the heat. Use boiling water (212°F) to brew black, herbal and darker-colored oolong teas. But use cooler water (170° to 180°F) to brew green, white and lighter oolongs teas. Brewing teas that need cooler temps with boiling water can result in bitter or astringent flavors. Use just enough tea. Use 1 1/2 to 2 teaspoons per cup of water when brewing teas with bigger leaves or flowers, like green tea or chamomile, and 1 teaspoon per cup for teas with denser, compact leaves, such as most black teas. 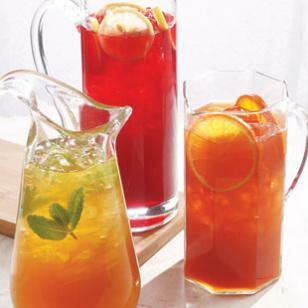 If you want to make iced tea and don’t have time for the tea to cool down, brew it double-strength to compensate for the resulting water from melting ice cubes. Or cool it to room temperature and refrigerate until cold. Steep long enough to release flavors, but not so long that tannins and other bitter-tasting compounds dominate. Heartier teas, like black teas and darker oolongs, should steep for 3 to 5 minutes, while green, white and lighter oolong teas need just 2 to 3 minutes. Herbal tisanes and infusions have fewer tannins, so there’s less risk of over-steeping. Unlike a fine wine, tea loses its character with time. To ensure that our customers get to relish the original flavor & character of the tea we follow the shortest possible lead time in delivering the teas garden fresh from the estates to your doorstep. All our teas are packaged in Double Air Sealed Zipper Pouches within 24-72 hours of production at source in India to ensure that the flavor, aroma & character of the tea is preserved at all times. Each package comes with detailed information about the tea including the origin, tea type, estate and preparation instructions. The strong airtight zipper works as the second seal and there is no need to transfer the teas in another container once you open the initial seal of the package. The tea can be stored in the same package till you consume it entirely. Just ensure that the package is stored away from heat or sunlight.